When I first heard this, I thought it was too good to be true! I thanked her vaguely** on Twitter (unless it was a secret just for my school district) but then I thought – could I possibly share it with everyone? Could I Tweet this out? So, I called her office out of the blue to double check that I could share it with you, the world, and his wife – and she said YES! And it was great talking to her on the phone. You know, sometimes it's nice to have a conversation - rather than a Tweet, text, or email. Give it a try! Surprise someone out of the blue to say hi, ask a question, or give a compliment this holiday season or next year! Just throwing that out there. * this was originally posted on my Daring School Library Edublog but I didn't want you to miss out if you only visit here! 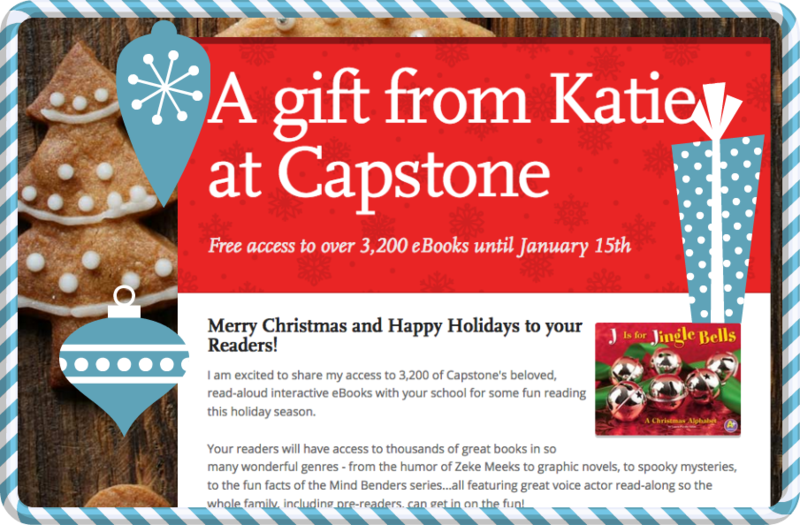 Download Interactive Bookmarks - It's not too late to email home to parents & kiddos! Belated Christmas Present?